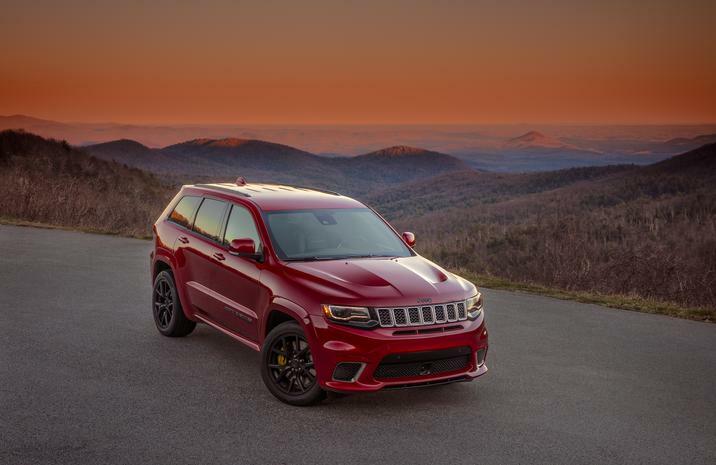 2018 Jeep Grand Cherokee Trackhawk Pricing and Release Information Released! The pricing for the Jeep Grand Cherokee Trackhawk has finally been announced! The Grand Cherokee Trackhawk is the most powerful SUV ever. It houses a supercharged 6.2-liter V8 engine and delivers 707 horsepower. It’s one of the most anticipated cars of the year and information is now coming out for pricing and for when drivers will be able to place orders for it. The 2018 Grand Cherokee Trackhawk is set to arrive in showrooms in the fourth quarter of 2017 and will have a MSRP of $85,900, excluding $1,095 destination. Those looking to get their hands on one will be able to start placing orders on August 10th. For those looking forward to the Trackhawk, this is the new you’re looking for. 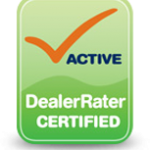 If you’d like more information on it, contact a sales rep at Bayside Chrysler Jeep Dodge. If you’re looking to find out more about the current line-up of Jeeps, click the link and see the selection on Bayside Chrysler Jeep Dodge. Be sure to like the dealership on Facebook, follow us on Twitter, and subscribe to our YouTube channel, to stay up to date on auto news and our special monthly offers. 2017 Jeep Compass is the Activity Vehicle of Texas and the 2017 Jeep Grand Cherokee SRT is the Premium Utility Vehicle of Texas! The Texas Auto Writers Association gave out their awards at their annual Texas Auto Roundup and one of the biggest winners by brand was Jeep. The brand took home some of the highest honors of the evening including the all-new 2017 Jeep Compass which is already making a name for itself with auto critics. “The Jeep brand vehicles also impressed our judges. The 2017 Jeep Compass led the diverse Activity Vehicle category, offering excellent versatility, capability and Jeep’s go-anywhere styling…” said Nic Phillips, President of the Texas Auto Writers Association. 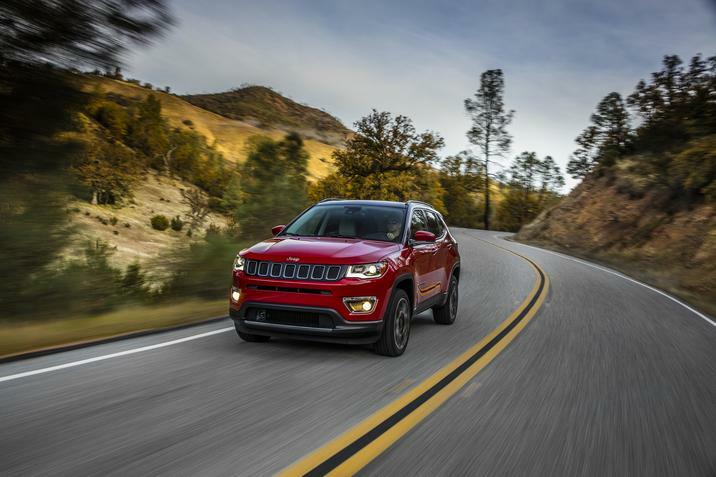 The 2017 Jeep Compass won the Activity Vehicle of Texas and the other major winner from Jeep was the 2017 Jeep Grand Cherokee SRT. It was voted the Premium Utility Vehicle winner. The awards for the Jeep brand added with the major wins that the 2017 Chrysler Pacifica Hybrid won meant that FCA US had the most awards of any other car maker at the annual competition. 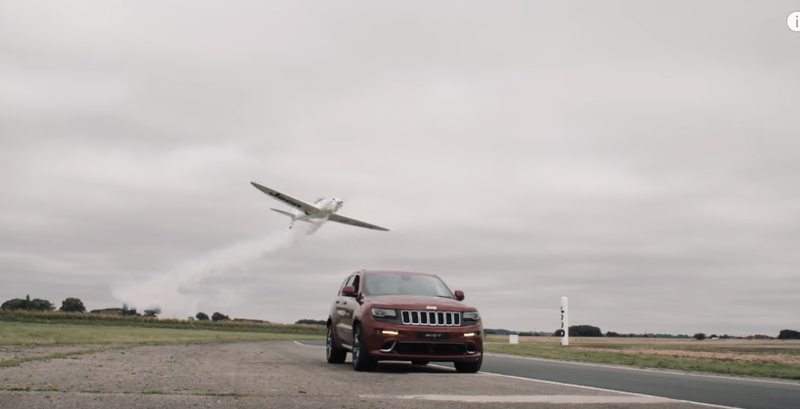 Check Out a Jeep Grand Cherokee SRT Race a Plane! What is it about racing cars vs planes that is just amazing to see. Jeep UK wanted to show off the Jeep Grand Cherokee 4×4 and what better way to do that than to show off its capability. Should be easy, take one out on a track and drive it around while discussing how amazing it is. That being said, easy is boring. Why not stage the first ever ‘4×4 vs Plane Race’ and use that to demonstrate how awesome the Grand Cherokee SRT is. The Grand Cherokee SRT in the race has a 6.4L V8 Hemi engine. It’s opponent is a Silence SA 1100 Twister. What follows is the kind of spectacle car lovers who like to see things out of ordinary crave. But who came out on top? It’d be mean to tell, so take a look here and see the winner for yourself!